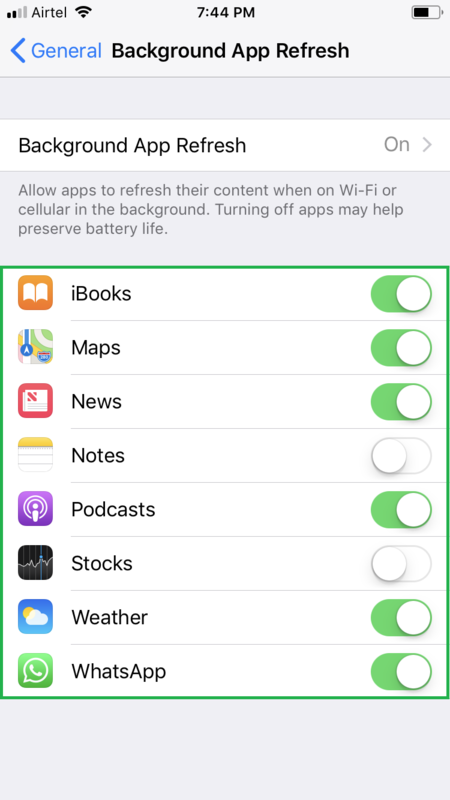 By default the Background App Refresh feature is turned on and it ensures that all your iOS apps get latest updates in order to give you the best user-experience while using your iDevice. However, since refreshing the apps consumes Internet bandwidth and drains some amount of battery, you may want to turn off the feature altogether, but at the cost of your device’s performance. 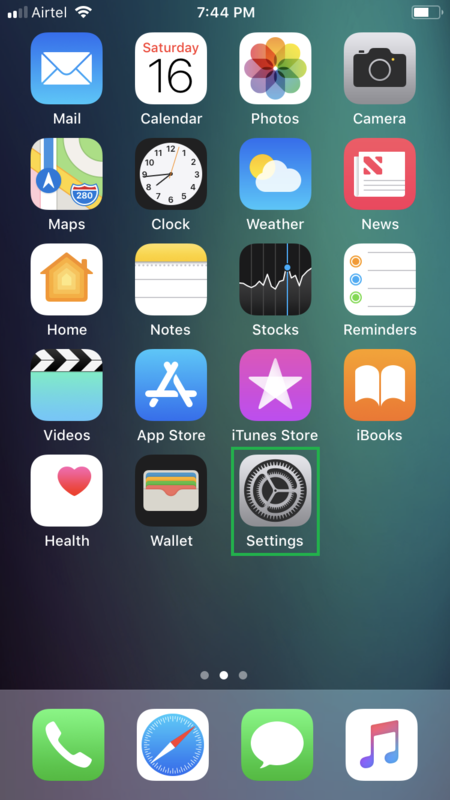 That said, to maintain a proper balance, iOS 11 allows you to fine-tune the Background App Refresh feature in a way that you can allow only your preferred apps to refresh in the background, and keep the others from doing so. Tap Settings > General. 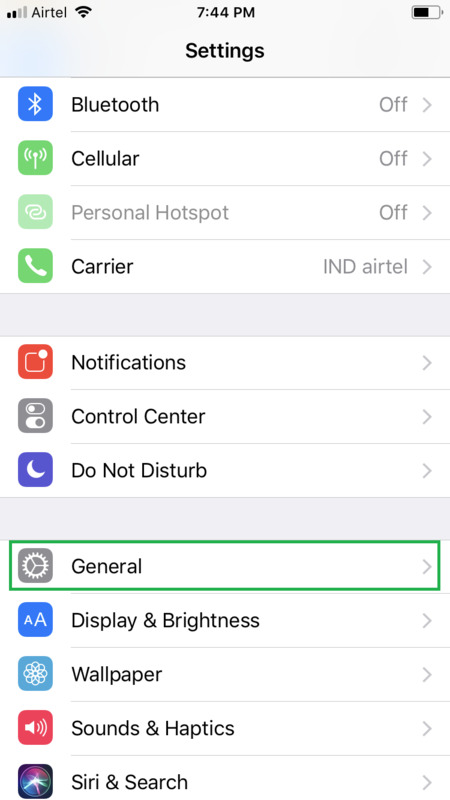 This takes you to the General window from where you can configure and manage your iOS device’s general settings. Tap Background App Refresh. 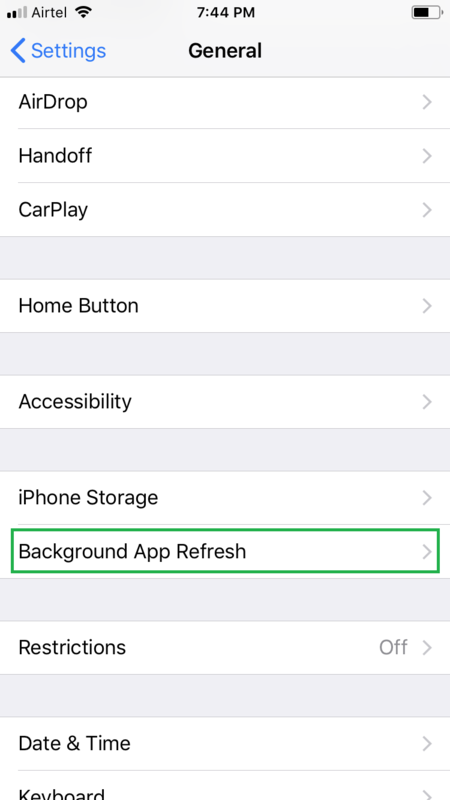 This opens the Background App Refresh window that allows you to enable or disable the feature entirely, or choose which apps should refresh in the background and which shouldn’t. Tap to disable an app’s toggle button. This keeps its corresponding app from refreshing in the background, while leaving the others to continue to refresh automatically as before. 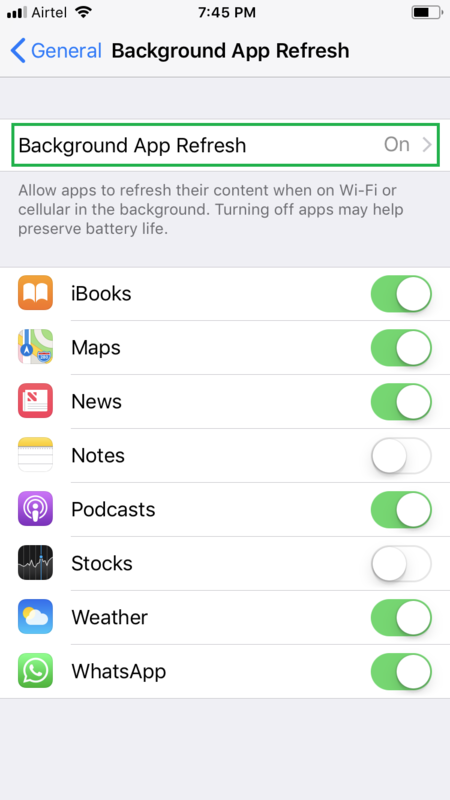 You can repeat the process to disable the toggle buttons for as many apps as you want. 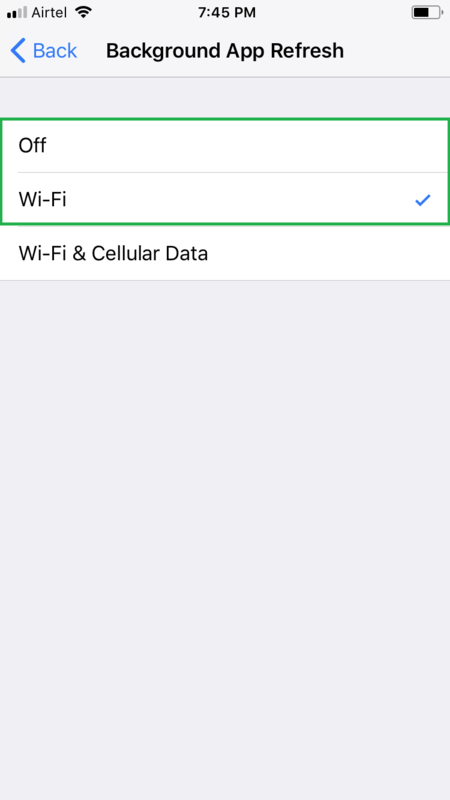 Optionally you can tap Background App Refresh from the top, and choose Wi-Fi or Off to allow the apps to refresh only when your device is on a Wi-Fi network or never refresh at all respectively.